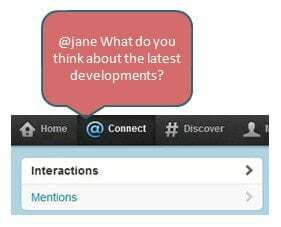 One of the biggest opportunities with Twitter is to use their @ replies and RT (Retweet feature). Place an @ before a username, allows you to communicate directly with users on Twitter and can pave the way to new connections. RT allows you to share someone else’s useful update with your audience, which is another way to foster goodwill among like minded users.